Mgahinga National Park is exceptionally one of the most stunning protected areas in Uganda. It extends up to only 33.7 square kilometers making it the smallest national park out of all the 10 popular conservation areas in the country. It is located in southwestern side of Uganda and it’s credited for its diverse natural attractions that have always kept visitors thrilled while on safari. Mgahinga Gorilla National Park is refuges more than 80 rare mountain gorillas, golden monkeys, 3 spectacular Virunga Volcanoes (Sabyinyo, Muhabura and Gahinga) as well as over 76 species of mammals which include mainly the Giant forest hogs, bush pigs, bushbucks, golden cats, side stripped jackals, black fronted duikers, African porcupines, and forest buffaloes. This stunning conservation area is strategically located in that even tourists in Rwanda can easily get access into it by simply driving or flying from Kigali International Airport and land into Kisoro airstrip. 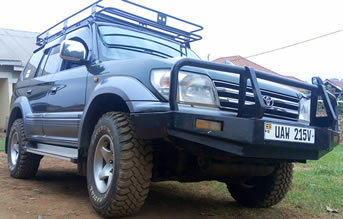 The park is also connected to Bwindi Impenetrable Forest National Park, Lake Mutanda and Lake Bunyonyi which all feature incredible experiences. 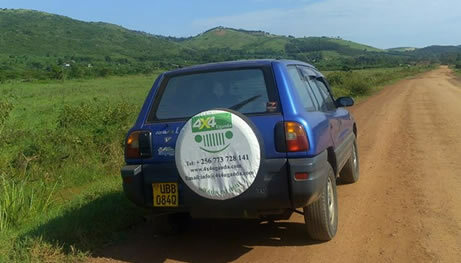 Mgahinga National Park is the second destination after Bwindi Impenetrable Forest National Park that offers visitors a golden opportunity to track the rare mountain gorillas in Uganda. About 80 individuals of these Great apes call Mgahinga their home and only one group (Nyakagezi family) has been habituated for visitor experiences. Nyakagezi troop was famous for its migratory characteristics across the Democratic Republic of Congo’s borders to Virunga National Park and Rwanda but for sometime now, its members have settled and they can be visited in Mgahinga National Park. Treks commence at around 7am with briefing from the park official mainly on general behavior while with the Great apes in the wild and the normal treks will kick off at 8am with the park guides and armed rangers. Each gorilla permit costs US$600 per visitor. 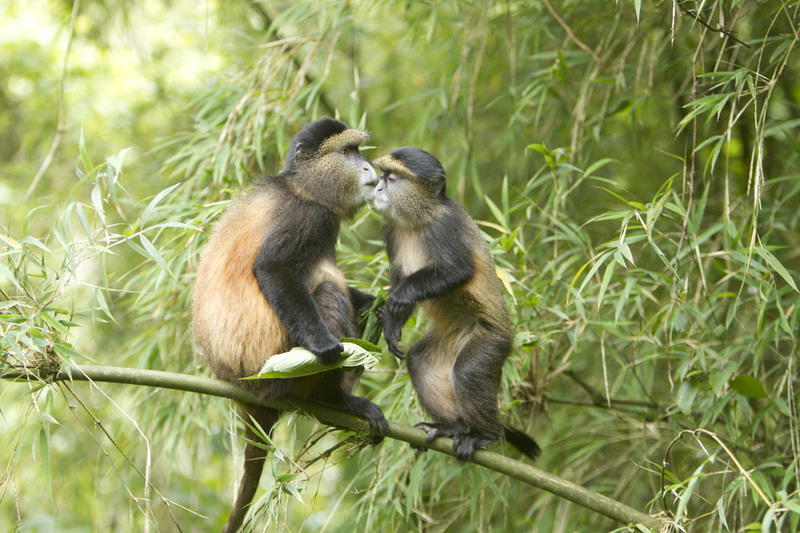 Whereas the Mgahinga National Park is credited for its unique mountain gorillas, there are also striking golden monkeys for visitors to track while on their safaris in Uganda. It is in Mgahinga National Park where gold meets silver in Uganda. These unique primates are unique and they weigh around 10 to 25 pounds and they feature striking bodies, tails, cheeks with black limbs and crown on their heads and tail end. These rare species belong to the blue monkey species and they are usually tracked around the bamboo forest of the Virunga Mountains ranges. Golden monkey tracking can be incorporated with mountain gorilla trekking in Mgahinga or Bwindi Impenetrable Forest National Park. 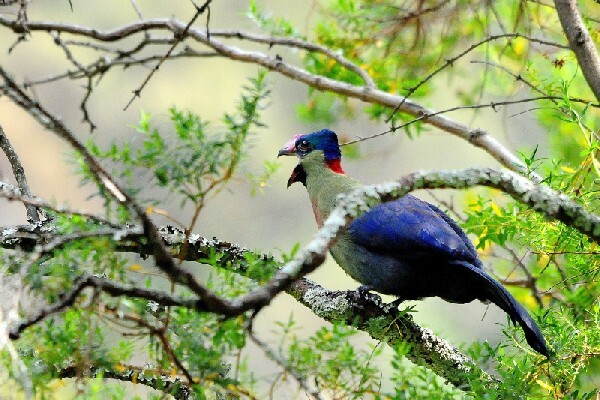 Mgahinga Gorilla National Park isn’t only credited for its spectacular mountain gorillas and the golden monkeys but also offers refuge to 200 bird species today making it one of the important birding areas in Uganda. The notable birds to sight in Mgahinga include ibis, pin tailed whydah, speckled mouse bird, stone chat, grey capped warbler, wax bills, Rwenzori Turaco, black kite, Blue headed Coucal, paradise fly catcher, double collared sun bird, Rwenzori batis, Rwenzori Nightjar, yellow vented bulbul, fire finch and white napped raven. Besides primate and birding safaris, Mgahinga National Park is also an important ground for hiking adventures. The notable volcanoes within the park include Mount Muhabura (4127 meters), Mount Gahinga (3474 meters) and Mount Sabinyo (3645 meters). Climbing to the top of these volcanoes rewards visitors with life changing experiences. Pay a visit to the Sabinyo gorge trail and border trail along the Congolese border and be rewarded with which incredible experiences of lifetime. You can also embark on cave exploration ‘Garama’ Caves which gives you a chance to explore more about the Batwa pygmies’ traditions and their king. Visiting the Batwa pygmy community while on golden monkey or mountain gorilla safari in Uganda is exceptionally the most exciting and unforgettable experience that you shouldn’t miss out in life. 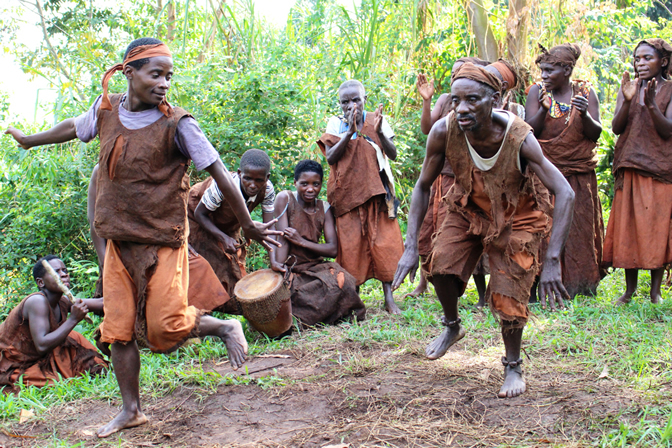 The Batwa are a few unique creatures in the world. They are credited to have lived harmoniously with the forest for more than 500000 years while mainly hunting and gathering. The Batwa people are the renowned forest dwellers but unfortunately or fortunately, they were evicted from their natural treasure where they are now marginalized around Bwindi and Mgahinga National Park. A visit to their community gives you a chance to encounter the real African experiences especially as you learn more about their traditional and cultural practices and lifestyles. 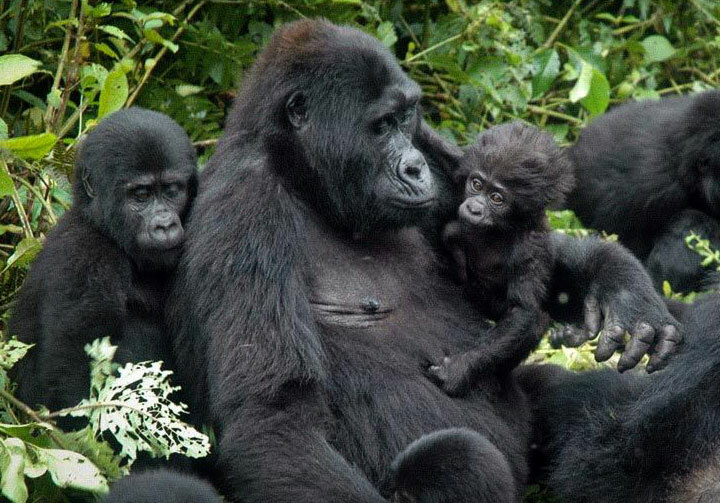 Finally, Mgahinga Gorilla National Park is exceptionally Uganda’s smallest protected area which comes with a number of attractions and activities for visitors on Uganda safari to excite the mind with.